Lister Petter products are known worldwide for clean, reliable, long-lasting diesel & gas engines, generating sets and pumps. Remanufactured exchange engines in stock. 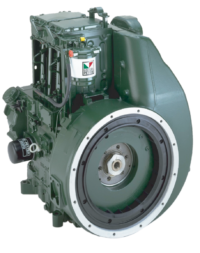 The rugged TR engine is a proven performer for Lister Petter. With its simple air cooling system and hand starting facility it is the ultimate engine to operate in the harshest of environments. This makes it the ideal choice for applications such as generating sets, water pumps and milling machines. that enable you to maintain this high standard and performance.